Home / NO Sleep for Many! It has been a hectic first week following the official launch of the 2018 Golden Globe Race. The story has gone viral on yachting web sites around the world and is yet to make the print editions. The launch video has had over 4000 views and I have received too many emails from over 50 interested sailors from every continent accept Antarctica! Many are very upset. The most common accusation on the second email is that they cannot sleep anymore and it is all my fault! The next , that I have changed their life! Many of my friends are now hiding as they know deep down they have to do this race! I am happy to say the response has been nothing short of HUGE. When you have an idea close to your heart you never really know what others will think. Now I know. When the likes of 80 year old UK yachting journalist supremo Bob Fisher states publically to the world. Quote “I can only make excuses. Would love to do it but my work schedule goes past the starting date! Otherwise, in a heartbeat.” and Herb McCormick of Cruising World magazine says.. Quote “sounds like the right idea at the right time” I guess the race is OK! So I smile…and what do they say? My name is Roy Hxxxxxx and I have been waiting for this race my entire life. I would very much like to send in an application for the chance to be a part of this. Sailing and the ocean are a huge part of me and it has been my dream to compete just like Knox-Johnston and Moitessier did. Is there anything I can do to help with the application process? It is a simply brilliant idea to bring the sport back to its roots. The world needs more simplicity. In just seven days we have 16 confirmed letters of intent from sailors, with deposits ready to sign on when applications officially open on July 1st with the release of the Pre-Notice of Race. All are without exception credible sailors, including two women and two national hero’s with world solo sailing records to their credit. They are young and old, so I guess now I have some answers to my earlier questions just a week ago! WE absolutely have a race! Of the others out there that I have been talking with, there is great excitement. There are a few 16 year old sailors now making plans, others trying to determine how and when to restructure their lives to become part of this crazy dream. I wish you could read the outpouring of personal stories from sailors who now finally have an reason and goal for their long held ambitions to sail solo around the world. So many are just like me. Some are worried about missing their kids, others about not being unable to use a satellite phone….some even not liking the “Clunkers”..but this adventure is only for those who dare to face something very special, and have real passion, something that is close to repeating history. It is for those who know there are excuses..but do not listen. One of my close friends and very famous French solo sailor who is entering considers it great fun to sail these “petit snails” around the world, while another Australian friend who has entered may call his yacht “180”. He has calculated at it’s slowest, it will still be 180 times faster than a quick snail! The Golden Globe will be an amazing race and true adventure. Including me, we are now 20 Golden Globe sailors. The family grows. Now I will have to consider extending the fleet beyond 20, but how far can I go?? Will some miss the bus? That is the next question. Interesting times ahead. 1 All spinnakers are now open to sponsor signage. 2 Spinnaker poles can be any length. But must have two. 3 2 x 1 meter sponsor panel on mainsail is for one or more sponsors. 4 One headsail may be hand signed by supporters group individuals. 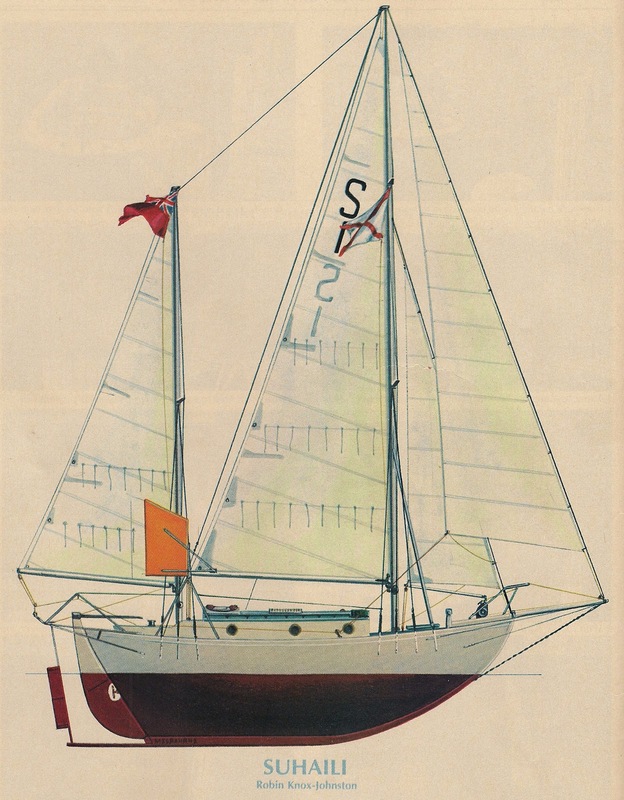 5 Max 11 sails for one mast 13 for two masts. 6 No spinnaker socks or furling spinnakers or code zero allowed. 7 No rubber band spinnaker stops only natural fibre wool. 8 Sails are counted on each boat at start. Every sail missing at end of race incurs a full one day time penalty. 9 All underwater profiles to be as original specifications from the moulds. No modification of rudder or keel shapes or prop apertures etc. 10 Any propeller is allowed but must make original design speed. 11 Minimum 20 gallon of fuel and maximum fuel to be as originally designed or 40 Gallons whichever is greater. 12 Now minimum 160 watt at 15v solar panels compulsory, wind and water generators allowed. 13 GGR will not adopt all ISAF cat O requirements, but will for cockpit, hatches, companionways, bilge pumps and most safety requirements. Only collision bulkhead required. Fine details announced in Pre-Notice of Race. 14 OE32 Yacht now approved for GGR but not bowsprit model yet..